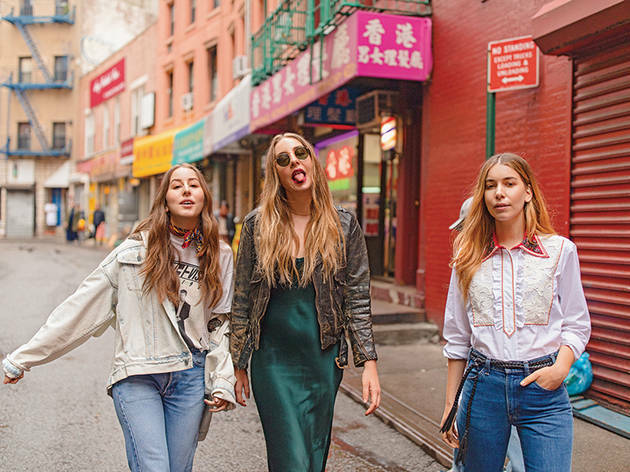 Four years after the release of their debut album, Days Are Gone, the Haim sisters are still the same leather jacket-wearing, ‘80s-worshipping, stage-quipping badasses that we've come to adore. So what if their latest album, Something to Tell You, is essentially more of the same? The bass faces, hereditary harmonies and hopelessly romantic pop songs that landed the trio on tour with Taylor Swift are still intact, and if you're lucky, you'll get to hear them turn a Shania Twain song into a soft-rock jam.